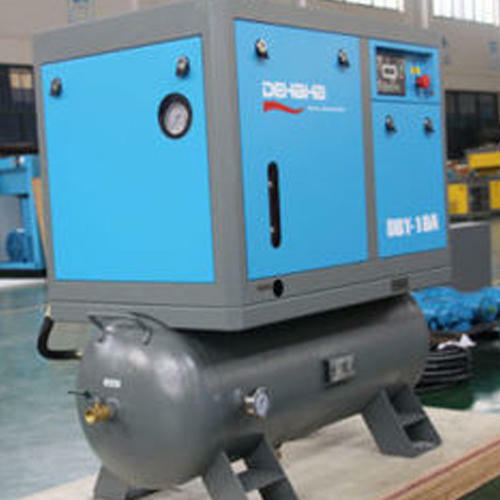 Being a well-distinguished company in the market, we are into offering Screw Oil Free Air Compressor. Established in the year 2016 at Nashik, Maharashtra, India, we "Dhruv Utility Equipments" are a Sole Proprietorship firm, engaged as the Manufacturer and Service Provider of Overhead Crane, Gantry Crane, etc. Our products are high in demand due to their premium quality and affordable prices. Furthermore, we ensure to timely deliver these products to our clients, through this we have gained a huge clients base in the market.